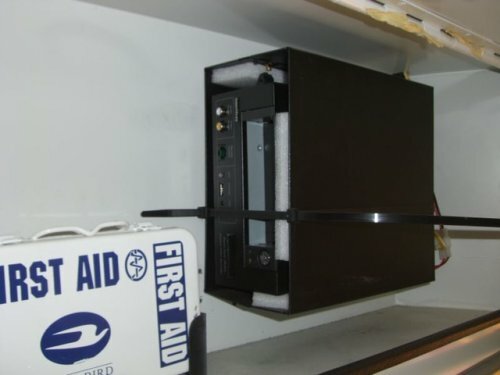 In this photo, it looks like the installer of this bus video surveillance & vehicle surveillance camera never removed the foam packing around the DVR. This one had a Hard Drive failure, which in my experience is far too common with the cheap hard drive systems on the market. Why sacrifice reliability and data integrity for massive memory capacity? This is a strong reason for purchasing only 100% solid State Digital bus video cameras. Whether it involves school bus cameras, digital bus video cameras, vehicle camera, mobile video surveillance systems, digital in-car video camera, in-car camera, bus camera surveillance it is always best to invest in 100% Solid State digital like the SD4m or SD4 series.